For weeks OvR’s Operations Manager, George, has been raving about the Adidas Documentary Series on Adidas Snowboarding’s website. Finally having a few minutes of free time, I decided to take George’s advice and watch a few of Adidas’ videos. After the 12:29 minute “Welcome: Forest Bailey” video, I was hooked. I watched all six “Welcome:________” docs and was so filled with inspiration as well as a new found love for snowboarding, I had to jump online and share this amazing experience with all our fellow OvR readers. Adidas is new to the snowboard game, but the company did not waste any time getting some of the best riders in the industry. “Welcome:________” features Jake Blauvelt, Eric Jackson, Keegan Valaika, Helen Schettini, Kazu Kokubo, and Forest Bailey. Each doc highlights the riders awesome style and skill as a professional snowboarder, as well as showcasing the amazing support these people receive from their friends and family. Snowboarding is all about community and watching these videos really emphasized this aspect of the sport. I’ve been snowboarding for six years now and I know I would not be the rider I am today with out the help and support of my OvR family. Take a moment, watch these videos, and get inspired to get out and go snowboarding with your friends and family. Follow your own dreams and live your life surrounded by things that bring you happiness and purpose. Please share with us what you thought of “Welcome:________” An Adidas Documentary Series as well as what inspires you. 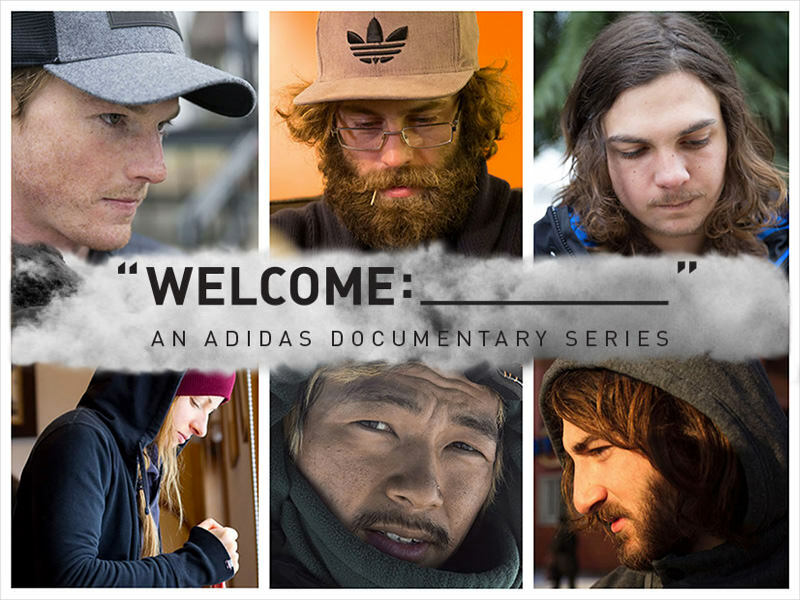 This entry was posted in Film, Video, and Media and tagged "Welcome:________" An Adidas Documentary Series, Adidas Snowboarding, Eric Jackson, Forest Bailey, Helen Schettini, Jake Blauvelt, Kazu Kokubo, Keegan Valaika. Bookmark the permalink.